Motorola is yet to launch any of the ‘Z’ series smartphones this year, but it is rumored that next month, the Moto Z3 Play is launching as a mid-range smartphone from Motorola. The phone is coming with the Moto Mods support, just like the previous two generations and today, a couple of real-life images of the smartphone revealed the design (again) and also gave a glimpse of the 5G Moto Mod that is debuting with the phone. 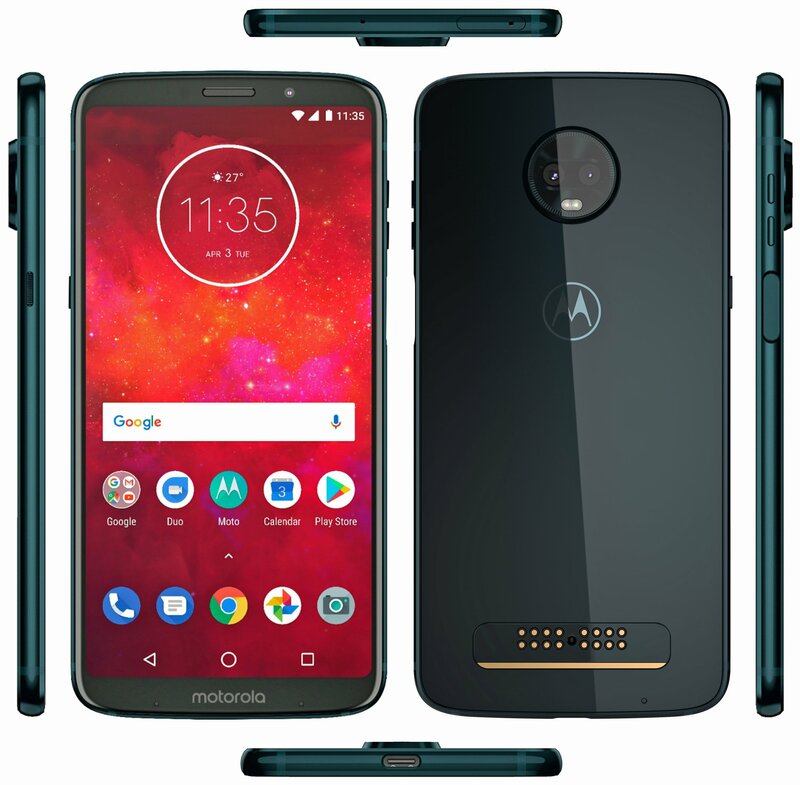 Motorola hinted in 2016 that the company might launch a Moto Mod in the future that brings 5G connectivity to the device. Guess what; it’s happening this year! Talking about the Moto Z3 Play’s design, it is going to remain the same from the front as the recently launched G6 series phones. The fingerprint scanner is now on the right side, and for the very first time, Motorola is going for a side-facing fingerprint scanner. As you can see in the image above, there are no on-screen buttons, and the phone has a bottom pill navigation bar, just like on the Android P DP2. We know that the Z3 Play is running Android Oreo out of the box so, it seems Motorola has customized the software a bit to add gesture support to the device. Motorola previously used the gesture support via fingerprint reader for its devices, but since the fingerprint reader is now on the side, the company went for gesture support like that on the Android P DP2. The display has an 18:9 aspect ratio which means that the phone has no notch, which is a good thing. The bezels aren’t that thin. There are no details about the upcoming 5G Moto Mod, but it is expected that with this Mod, the Z series phones will get 5G Connectivity. As for the specifications (revealed by XDA), the Moto Z3 Play has a 6.-inch 18:9 Full-HD+ AMOLED display and is powered by the octa-core Snapdragon 636 processor. There is 4GB RAM along with 32/64GB internal storage. The first generation Moto Z Play was known for its amazing battery life. But last year, we saw the Moto Z series phones becoming thinner by sacrificing that big battery under the hood. The Moto Z3 Play is, therefore coming with an average 3,000mAh battery with Turbo Charging support. And as per the company, the Z3 Play is going to be one of the thinnest premium smartphones in the market. It also means that there is no 3.5mm headphone jack at all. So, the Moto Z2 Play was the last Moto Z smartphone to feature a headphone jack (RIP). One of the dual rear cameras is a 12MP low-light sensor, and there is an 8MP front-facing camera. There is no information about the official launch date of the device so stay tuned for that.